With today’s announcement from Amazon that Kindle Edition e-books will now be available for customers in Germany and worldwide who use Amazon.de, NovelRank has been updated to support this new store! You can now track your Kindle book sales on Amazon.de by going to the book tracking page on NovelRank and adding your URL, just like you did for the print editions. NovelRank’s second largest user base are books in German, published by German authors, and distributed exclusively on Amazon.de. Therefore, this update to NovelRank was made shortly after the announcement. If NovelRank is already tracking your Kindle Edition book in other domains, just grab the Amazon URL again or the book’s ASIN (highlighted in the example below) and enter it again into the box on the sales rank tracking page, making sure to check the ‘Additional Domains’ box. The system will search whether a sales rank on Amazon.de is present, and add the book if it is available. Note: In most cases, your kindle book has not yet sold a copy, so no sales rank is present and NovelRank will not be able to begin tracking. As soon as you have a sales rank (a single sale will do it) on Amazon.de, it can be added to NovelRank using the method above. My personal trick? Buy a copy as a gift for a friend. About 3 hours later, you will have a sales rank and can add it for tracking on NovelRank. 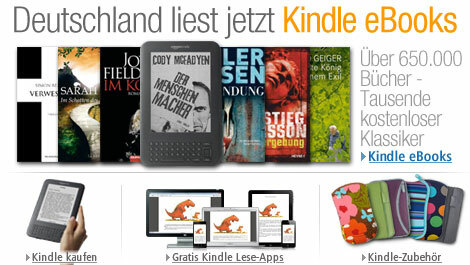 This entry was posted in News and tagged Amazon.de, kindle edition on April 21, 2011 by Mario Lurig. Ranks don’t seem to be showing up on Amazon.de for Kindle books. I know I’ve made sales there because one of my books hit three different Top 100 lists, but it still has no rank. Is anyone else experiencing this problem?